Guacamole Genua Style | What's Cooking at the Genua's? I love guacamole! (I think I’ll marry it!- inside joke) I always thought it was so hard to make until my cousins Linda and Kim showed me how when they were visiting me. Ever since then I was hooked on making it myself. I am always looking for the sale on the Hass avocados. They are the best to use. There are other larger avocados out there but they just don’t do it for me. The color is wrong too and the taste is bland. So stick to the Hass. They are usually from California but lately the ones I’ve bought have been from Mexico. Still really good. I make guacamole at least once a week! It goes great on so many things other than chips. Sandwiches, burgers, hot dogs, chicken, steak, you name it. I also bought one of those avocado slicers to make the slicing easier, but it’s just as easy to score and then scoop out the avocado with a large spoon. Though it is actually good for getting the pit out without cutting open your hand and getting blood all over the guac. But you can just cut open an avocado by slicing all the way around the long way and twist the two halves apart. Then take a sharp knife and whack the seed with it till it sticks in and twist. Just don’t whack your hand in the process! The seed should come right out. 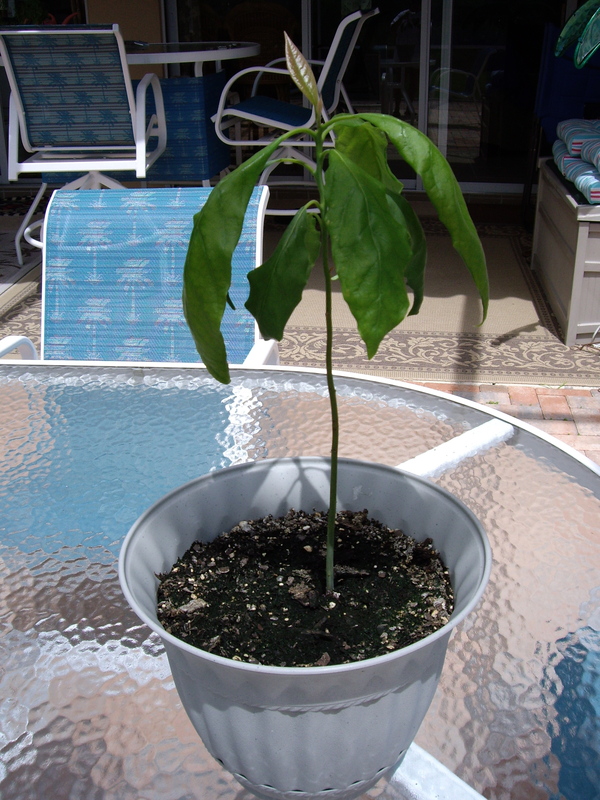 And I planted one recently, I had to see if I could actually grow it. It works! Just waiting for fruit! (See picture below) Though that might not happen but we will see! As soon as I finish writing this I am going to make another batch as well! 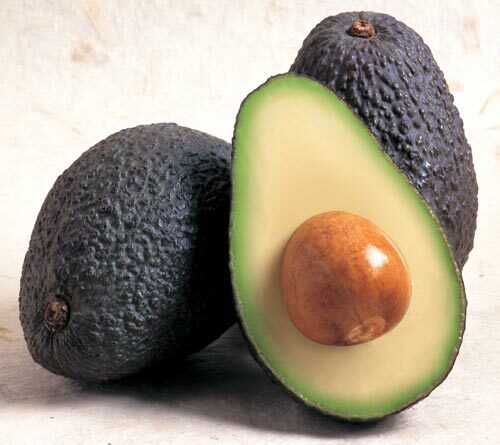 And when you buy avocados pick ones that are a nice color and firm. If they are already soft you will have to use them right away. They take a day or so to soften on the counter, once they do put them in the fridge and use in few days. They should not be mushy! Mushy is bad. I also make mine half mashed and half chunky. But if you don’t like chunks mash away! ¼ cup jalapeños, chopped (I use the pickled ones in the jar but fresh is good too!) If this is too hot for you lessen or leave out. 1. Cut open the avocado and slice and chop one of them and place in a large bowl. Do the same with the second one but set aside. 3. Chill and serve in a few hours. If you will be waiting longer to serve place a piece of wax paper over the top of the guacamole in a container and cover tightly. It will start to turn brown from oxidation if you don’t do this. Also adding a little more lime juice will help. If it does start to turn just mix it up, there’s nothing wrong with it, just won’t look as pretty. 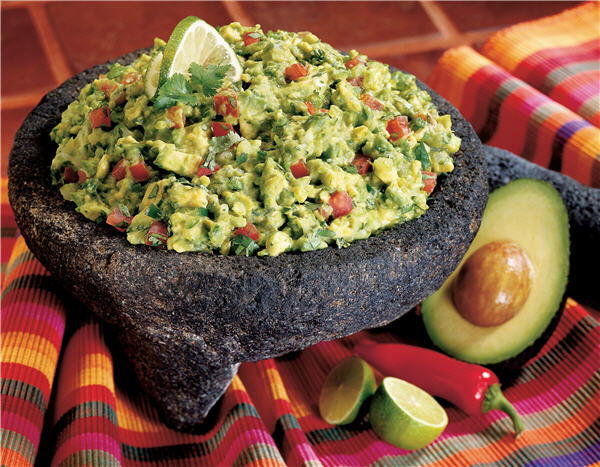 Pingback: Guacamole Kicked Up a Notch « What's Cooking at the Genua's?